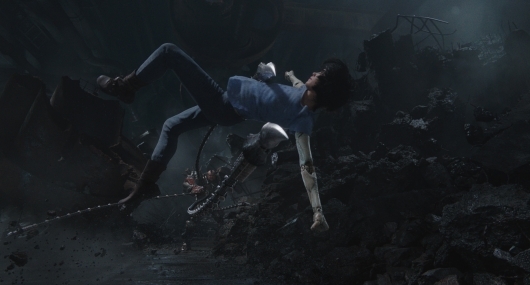 We’ve all seen the lengthy production history behind Alita. James Cameron, who is a writer and producer on the film, dropped out as the director so he could focus his attention on the Avatar sequels. Rodriguez would then step in as his replacement. However, numerous reschedules pushed the film back almost an entire year. However, based on these trailers, the action and visuals do not disappoint. It’s every bit as thrilling as flipping through the pages of the titular manga. The story seems to pop off the screen. The gladiator sequence is reminiscent of something you would see out of a rollerball game or even a grittier futuristic take on gladiator scenes in Tron: Legacy. So let’s just hope that the final product lives up to expectations. Alita: Battle Angel also stars Jennifer Connelly, Ed Skrein, and Jackie Earle Haley. Fox will release the film in theaters on February 19, 2019.